On November 29, 1996 executive chef/owner, Carlos Melendez opened the doors of Coyote Crossing in Conshohocken for the first time. Coyote Crossing serves authentic world-class Mexican cuisine in a warm and inviting atmosphere. The Conshohocken location also offers enchanting outdoor dining. 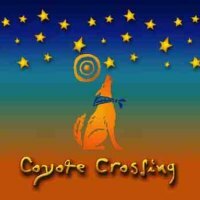 In January 2004, Coyote Crossing’s 2nd location opened in the Historic District of West Chester. Situated in a former bank building from the 1930’s, the spectacular 175-seat restaurant features a dramatic floor-to-rooftop fireplace tower, surrounded by a river rock bed with flowing water. In the warmer months enjoy dining on the roof-top deck.